The property is a 3Br 2 bath with front lawn/garden and rear deck. All bills are included, including internet &amp; Netflix. The bedroom has its own WIR and there is a shared study. There is ducted heating and a split system a/c for the house. It's a quite street and only 8min walk to Yarraman train station &amp; 5-10min walk to bus stops 800, 812, 813, 814, 815 &amp; 848. There is also a park at the end of the street. 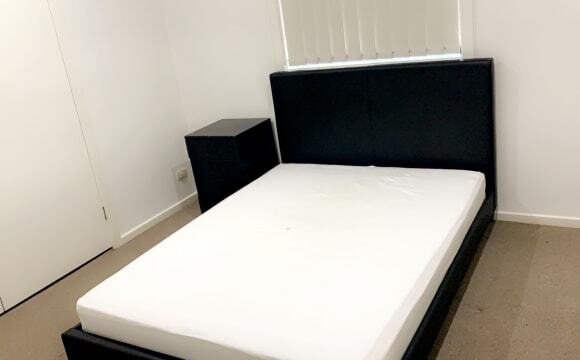 One furnished bedroom available now in Dandenong. Room has a door that opens up to the balcony. TV and drawers are also included in the furnished room. It’s a newly built townhouse with high-end furnishing inside and out. Stove, fridge, oven, microwave, plenty of pantry storage space, washing machine, dryer and ducted heating. 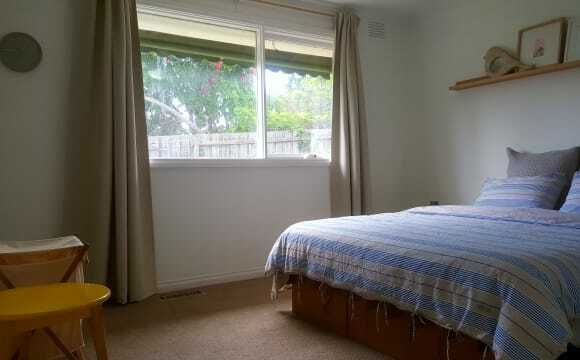 Only a short walk from a shopping centre, supermarket, public transport (bus and train), a golf course and RSL. House is always kept clean and tidy - well maintained. Newly renovated backyard with artificial turf and bean bags is great in the summer time. This house has been a share house for the last 4 years, with room mates staying for long periods at a time (1-2 years). Bills are very cheap as house is very efficient and both house mates work full time. 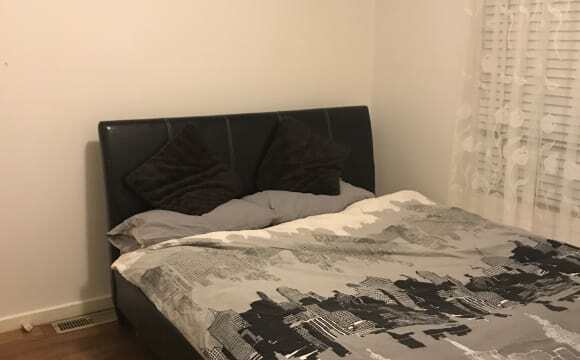 If you’re a young and fun person looking to rent a bedroom, please send me a message via Flatmates or feel free to text me on my mobile. 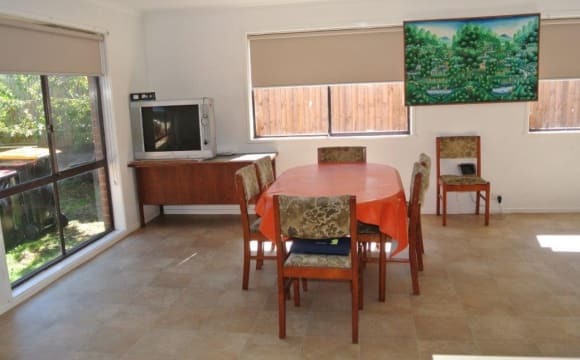 This recently fully renovated shared accommodation is situated ideally near all amenities and public transport. The property will suit students, working class people or young couples. With a reasonable price tag, comfortable furnishings and a clean environment, this property includes all bills. The rents for the room vary between $130-$200 per week depending on the room size. 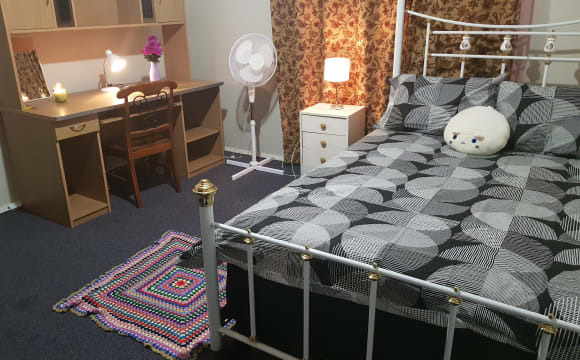 Located in the heart of Dandenong, move in and enjoy this fully renovated room by room shared accommodation, with all bills included in the rent. Property Features include: - Four rooms in total - we currently have one room available - One bathroom - Two toilets - Renovated kitchen with gas appliances and fridge to share - Separate dining with TV - Laundry - Storage space - Front and back yard parking as well as street parking Each room features: - Double bed - Desk and chair - Built in robes No smoking and no pets. The property is not suitable for children. 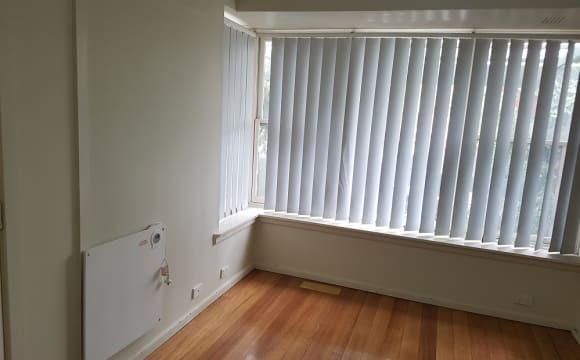 Situated within 2 minutes walking distance to the Dandenong Train Station and close to the Dandenong Plaza, this near new one bedroom studio offers clean and decent living. The room comes furnished with a double bed and fridge with all bills included, as well as free WI-FI. Car parking is available on a first in, best dressed basis, with street parking also available. There is a communal kitchen and coin laundry provided for your convenience. The property is $280 for a single occupant, $300 for a duo. PLEASE NOTE, as this is shared accommodation, the property is not suitable for children. The place is 3 bedrooms, with 2 of the rooms being very large and having built in wardrobes. 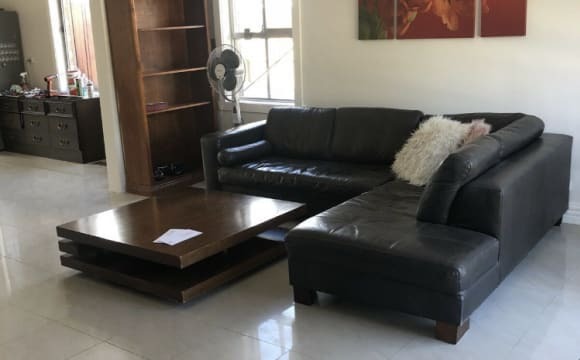 The third room is quite small and does not have any wardrobes so I am willing to offer it at a lower price or keep it as a shared study space. 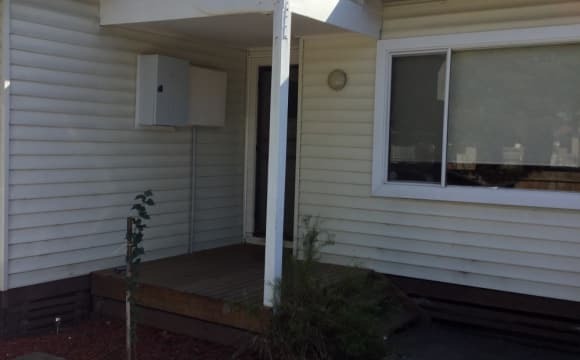 There is a shared bathroom with separate toilet, laundry in with the bathroom, a medium sized shed in the backyard, space for 2 cars, and a decent sized kitchen and living area with air conditioning. 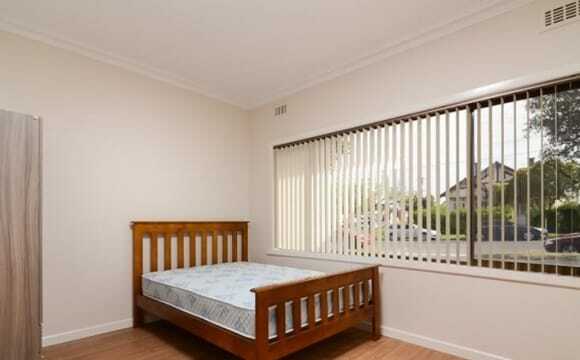 The unit is situated at the back of the unit block on a main road close to schools, shops, and the CBD of Dandenong. The neighbours in the other units are elderly and quiet, and the units are situated in between a church and a 7 eleven petrol station, so not much noise from them either. If one other person were to occupy the unit with me, rent would be $160pw plus bills. 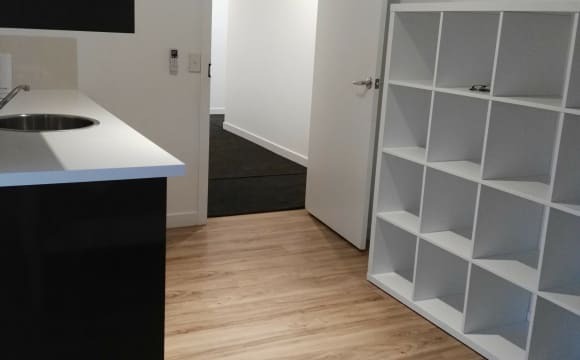 3 people in the unit would bring rent down to $107pw plus bills. It’s quiet, but I’m happy to entertain if you want to. Could arrange off street parking for a smaller car. 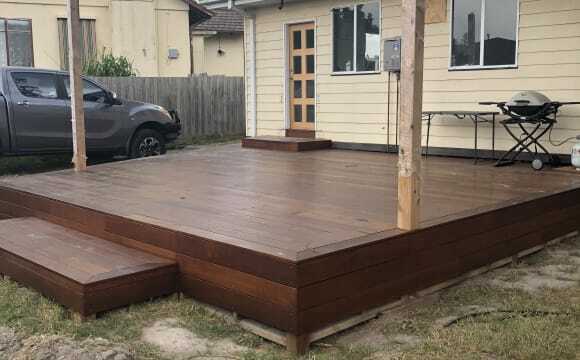 Plenty of space for all your toys/ tools. Please note, as this property is shared accommodation, it is not suitable for children. The house has been freshly painted. Floorboards/parquetry,tiles, ducting heating and evaporative cooling throughout house. 40" Chrome cast smart TV, build in wardrobe and computer desk in room. Large backyard covered seating area. Neat and tidy lawns and garden area. Very quiet court location. Cleaners visit every week to clean common area. Stan subscription on room tv. Very close to Monash and Eastlink freeways. Dandenong, Dandenong Hospital, Chisholm Tafe and Waverly Garden all close by. The bus stop around the corner on Stud Road with links to Dandenong, Monash University, Mulgrave, Chadstone, Oakleigh. The house has been recently renovated. 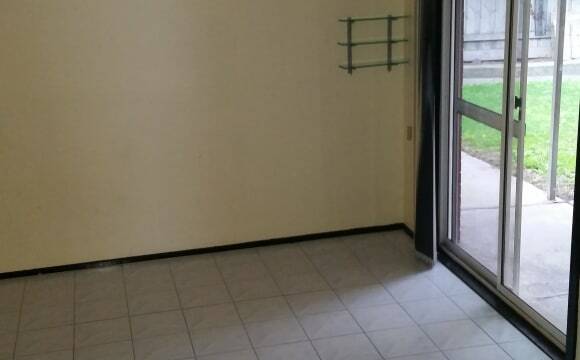 Large sunny room with a built in cupboard. Shared bathroom with one other flatmate. We have two beautiful and friendly dogs. The house is located a short walk from the bus stop on stud road and close to Chisholm institute. 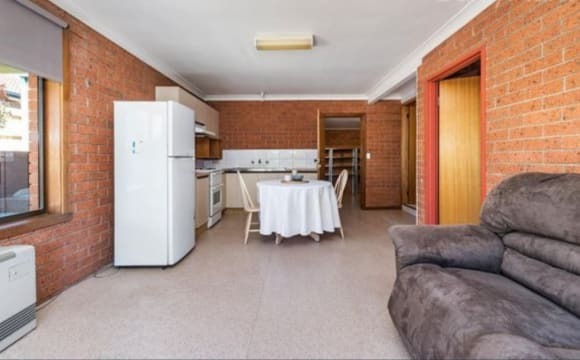 This property consists of 9 separate rooms each with its own bathroom and kitchenette (four was the maximum number of bathrooms 'flatmates' allowed in their drop-down menu). This room is similar to a private studio apartment. Internet and all bills are included. Microwave, sink and fridge in your double room – ideal for a couple $380 or a single $300. Large private outdoor area. Five-minute walk to Yarraman train station. Private, quiet separate rooms. Split system (heating and cooling) in your room. 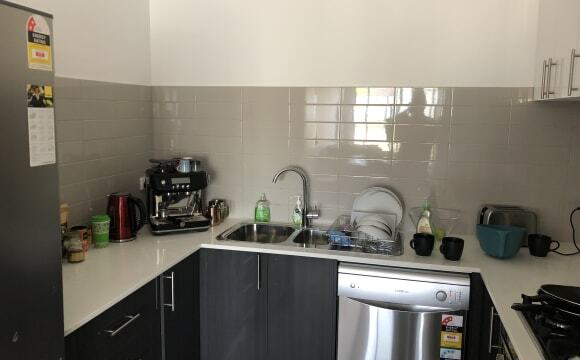 Large shared kitchen rarely used by other residents as each has its own kitchenette. Shared laundry with washing machine, dryer and clothes line outside. 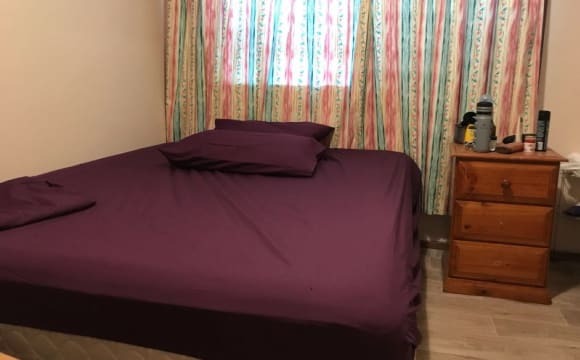 This property consists of 9 separate rooms each with its own bathroom and kitchenette (four was the maximum number of bathrooms 'flatmates' allowed in their drop-down menu). This room is similar to a private studio apartment. Internet and all bills are included. 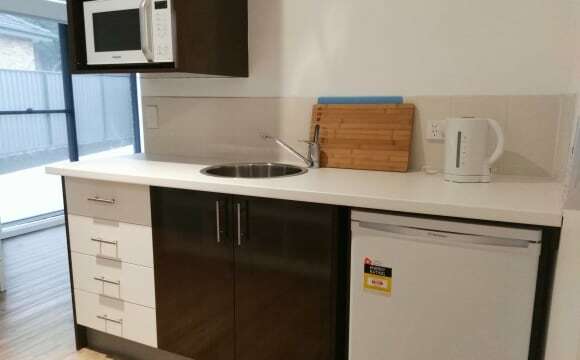 Microwave, sink and fridge in your double room – ideal for a couple. Large private outdoor area. Five-minute walk to Yarraman train station. Private, quiet separate rooms. Split system (heating and cooling) in your room. 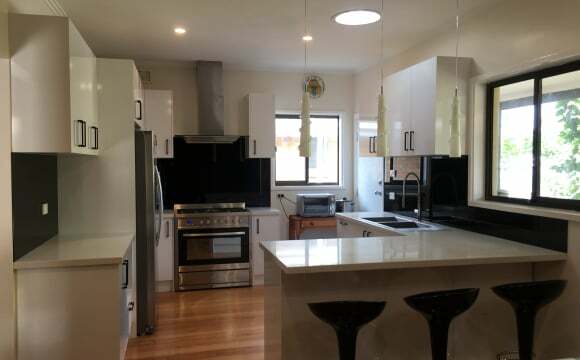 Large shared kitchen rarely used by other residents as each has its own kitchenette. Cleaning in common areas included. Shared laundry with washing machine, dryer and clothes line outside. 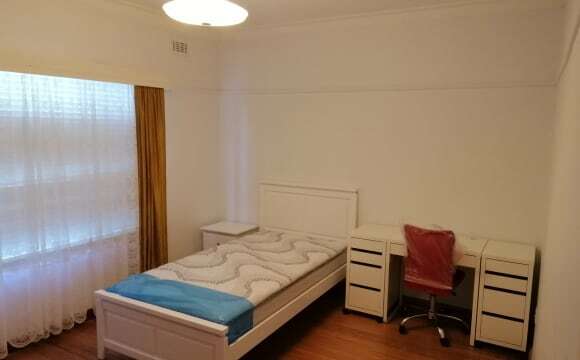 It’s 2 mins walk away to the bus stop and 15 mins to dandenong station. Very calm and quite place for students. 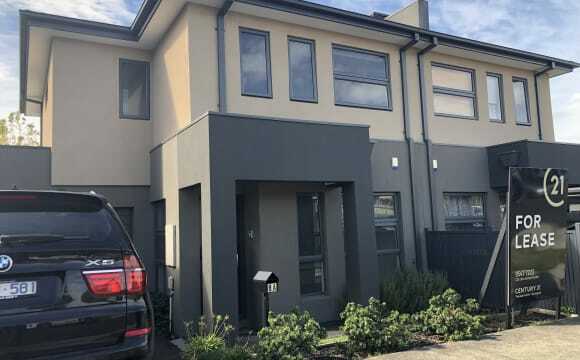 Property is through mclennanrealestate.com.au in dandenong. I'm currently applying for this and other places but need another person to go on the lease. My agent tony has guaranteed me a place. You will have your own bathroom. Can discuss who gets master bedroom. Total is 370pw. Hello Future Potential Housemates! My name is Brittany and I am looking to find someone new to live with. Preferably chilled and sociable, and someone keen on joining in a Dungeons and Dragons session (Dan is obsessed), a girl would be good to even out the numbers so the boys stop picking on me. Haha! I live with my boyfriend, Dan, and our housemate Nick. 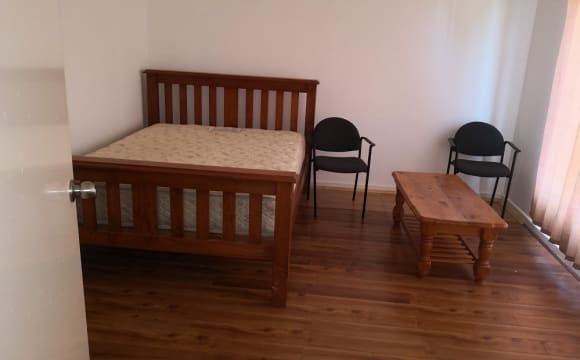 At the moment we have one single furnished room available at the moment (RToom - 1) and another by the start of May, which is larger in size (Room - 2). The rooms have been recently renovated, each room has heating (inbuilt electric fireplace and ducted gas heating) and cooling. Double Glazed windows keep the heat/cool in, and keep the sound out, even though the house is located at the very end of a quiet court. Plenty of parking. Each room has its own 60 inch TV mounted to the wall and is nicely decorated. For the gamers - High Speed NBN Internet Available (100mbs Down 40mbs Up) - CAT6 network cable sockets in every room. We am more interested in getting decent, long term people in, because it makes the house feel like more of a home, rather then a drop in motel. We order out together, cook for each other, its a really nice and chilled environment. The rules are fairly simple. Follow good common sense. The rent and bills and notice to vacate are calculated on a monthly basis from the first of the month. Every person living in the property has an equal share of the bills. Portions of the property are being upgraded, the current project is the lounge room and kitchen area. In the front yard we am building an alfresco, with pizza ovens, rotisserie spit, outdoor firepit/place/chimineas all undercover. And the pool and pool area are being tiled, a sauna and Jacuzzi room installed (google images for "Hammam" to get the gist of how it will look). None of the renovations or upgrades tend to effect anyone living in the house. It just means that the longer you stay, the more use of the facilities you will have (its going to be great, sparing no expense, Dan and my Dad are very clever builders and everything will be amazing). 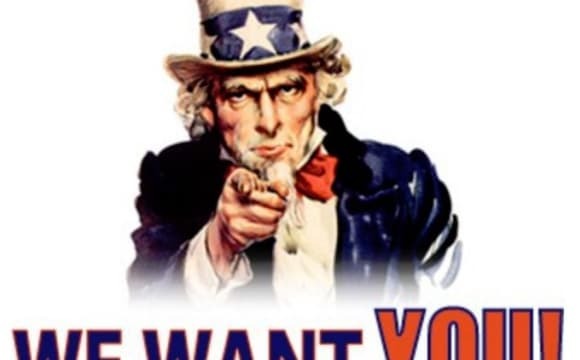 We just need you! Practically a brand new apartment, bedroom fully furnished with built in robe with storage aswell. Two full bathrooms, one for each bedroom. AC in main living area. Fridge, Washing Machine, Dryer, Dishwasher. I can furnish the bedroom with a single bed or a doubel bed. All bills (Power, Gas, Internet etc included) unlimited NBN, Netflix, Spotify etc all freely usable on devices. Plenty of parking right next to apartment complex with no time limits. Close to shopping centre, bus stop and freeway. House has been renovated. You will also have access to study room which is furnished with desk and chair. Spacious 3 bedroom standalone house with a separate dinning area (which I currently use as a study and you are welcome to put your desk there too). 3 min drive or 10 min walk to Parkmore shopping centre. You'll pretty much have the bathroom and separate toilet to yourself (when there's no guests). Central heating throughout. 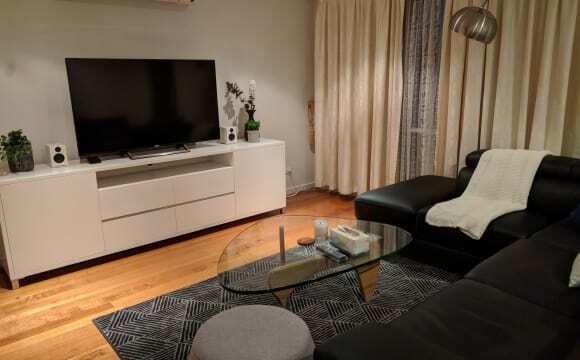 Split system air-con in the living room which is furnished with a brand-new black leather couch, 55" 4K Sony Smart TV (with heaps of movies and tv shows) and replica coffee table and floor lamp. Newly renovated kitchen with a dark theme. Outdoor cushioned lounge set on the back porch for you to enjoy your morning coffee or evening tea.